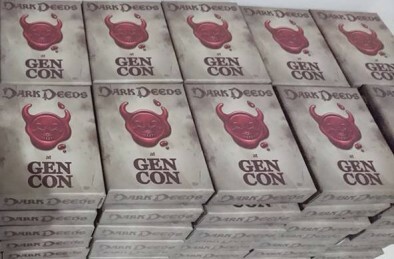 Games & Gears will be at Gen Con with their fantastic Dark Deeds card game, to see if gamers have it in them to do the dark biddings of the Master. Coming to "The Best Four Days in Gaming" means bringing a special, Gen Con Edition expansion of Dark Deeds! 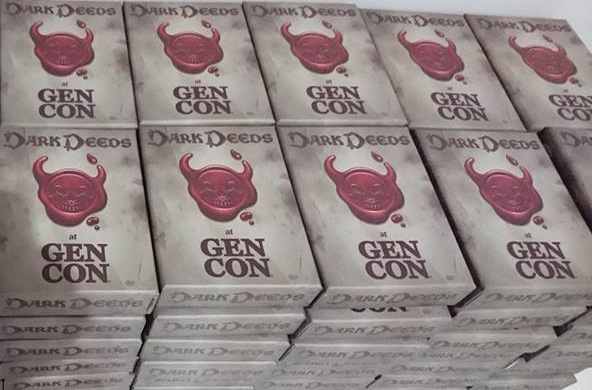 This edition will add a new nemesis, The Gen Con Heroes "The Party," new weapons, traps, plot and Dark Deed to enhance your gaming experience. Use these new cards to expand your street and tavern decks and explore your dark side. 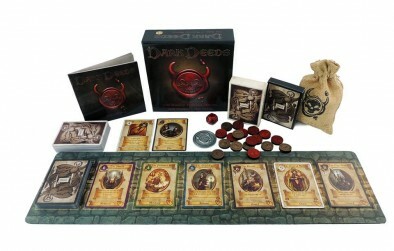 Do you have what it takes to gain the Master's favor in Dark Deeds? 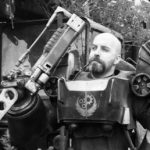 "This edition will add a new nemesis, The Gen Con Heroes "The Party," new weapons, traps, plot and Dark Deed to enhance your gaming experience..."
We got it at Adepticon. Gonna try to play it before Gen Con.